Losing weight on The Dukan Diet doesn't have to mean giving up the foods that you love. With The Dukan Diet Desserts and Patisseries you can follow the bestselling 4-step programme and still eat delicious sweets and puddings. 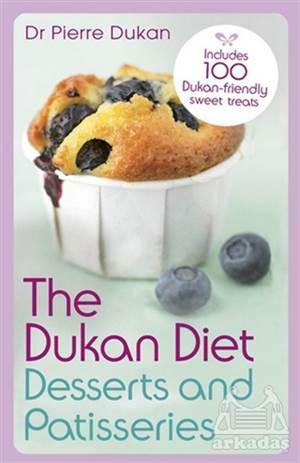 Containing100 indulgent recipes which can even be eaten during the all-important weight-loss phases, The Dukan Diet Desserts and Patisseries will help you incorporate The Dukan Diet into your life so you can lose the weight you want like millions of others have around the world. Devised by Dr Pierre Dukan, a French medical doctor who has spent his career helping people to lose weight permanently, The Dukan Diet is the culmination of thirty-five years' clinical experience. Beyond its immense success in France, The Dukan Diet has been adopted by more than 50 countries and translated into 25 languages. Many international observers agree that this is the method most likely to put a stop to the world's weight problems.